This week I am pleased to introduce our new Skillset Green Army Co-ordinator, Darrin Kopp, who will be working with the Team until the end of October. Darrin brings with him a wealth of experience and local knowledge and Central West Lachlan Landcare (CWLL) are pleased to be working with someone who has a commitment to the improvement of our local environment and a good skill base to share with the Green Army Team as they undertake work and training. CWLL undertook the partnership with Skillset Environment in June 2016 and since then, we have seen 20 young people participate in the Programme and we are particularly thrilled when participants gain employment. We have seen participants move into full time positions, apprenticeships and traineeships. The intention of the Programme is to encourage young people to develop a work ethic, maintain a regular routine and increase their capacity with training and qualifications that they can use in the future. This is particularly beneficial to participants if they have joined the Team without having any previous employment. The current Skillset Green Army Team runs through until the end of October working on projects in the Parkes and Forbes Shires. 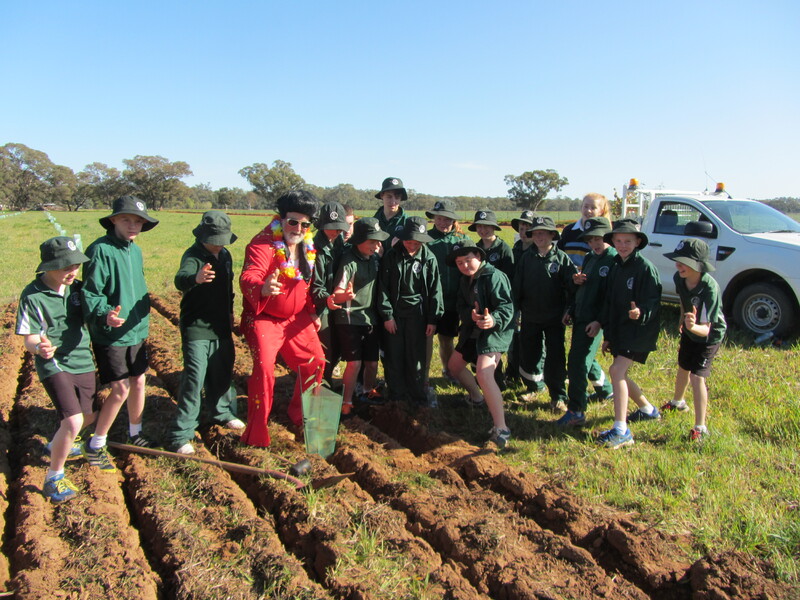 We are soon to commence another large scale planting at the Parkes Solar Farm. This placement will give the Team a better understanding of working within a more controlled environment, which we see as being extremely beneficial to each participant. I also want to mention the Habitat Action Grants that are now open. These grants are targeted at Angling clubs, individuals, community groups, local councils and organisations interested in rehabilitating fish habitats in freshwater and saltwater areas throughout NSW. Habitat rehabilitation projects which may be funded include: removal or modification of barriers to fish passage; rehabilitation of riparian lands (river banks, wetlands, mangrove forests, saltmarsh); re-snagging waterways with timber structure; removal of exotic vegetation from waterways; bank stabilisation works; and reinstatement of natural flow regimes. Heaps of potential ideas there. The funding is grouped into two sections, being small grants up to $2,000 and large grants up to $40,000. In the 2016 – 17 year there were twenty-six projects funded at over $554,000, with applicants providing over $1.3 million in in-kind contributions. Matching funding is a requirement for funding, however this does not need to be in physical cash. Other contributions towards the project count as an ‘in-kind’ contributions and can include any voluntary labour (hands on work), project management time (administration, reporting, etc.) and cost of machinery use for example. It can also include on-going maintenance of a site (capped at 3 years after project completion). If you know of a project that you think would fit within this criteria, but don’t have the capacity to apply, we would love to hear from you. Department of Primary Industries website also has more information in case studies from other projects, on their website. I will put a link from our blog. 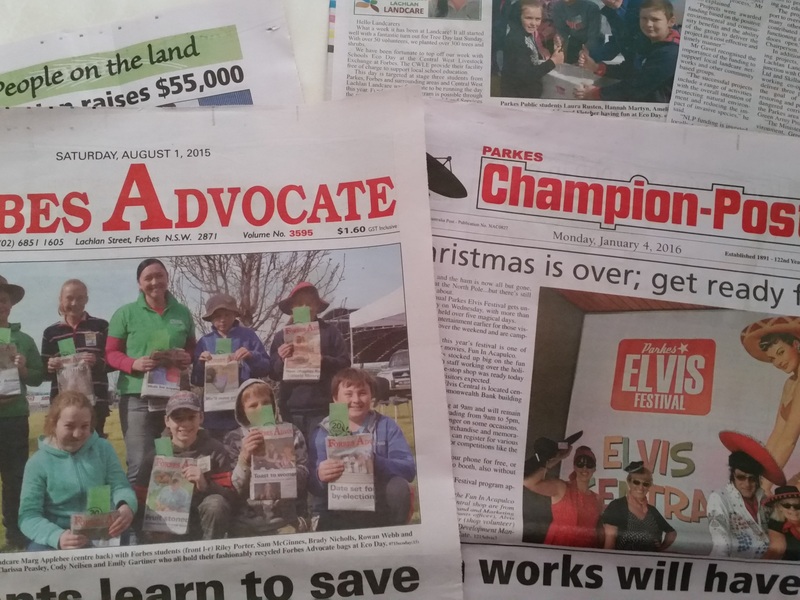 The other little snippet that I want to mention is for those farmers who are passionate about supporting the next generation of farmers or fishers. The Young Farmer Business Program (YFBP) Advisory Committee are seeking expressions of interest for three independent members. The Committee provide support and add value to the YFBP.